Report Identifies Dangerous Schools In Queens But Excludes Charter Schools. Topping the list of Queens schools was the once great Martin Van Buren High School in Eastern Queens where a weapon was found on a student every 11 days. You would think that the students would be more wise. However, Martin Van Buren has become the "dumping ground" for unwanted "over-the-counter" students" with Jamaica and Springfield Gardens High Schools closed and the small Bloomberg schools were able to exclude self contained students and English Language Learners, claiming they do not have the resources or wraparound services to accommodate them. The result is that the large comprehensive high schools like Martin Van Buren are over-represented by "high needs" students, many with discipline issues. Joining the list are Long Island City, Richmond Hill, Flushing, and August Martin High Schools. 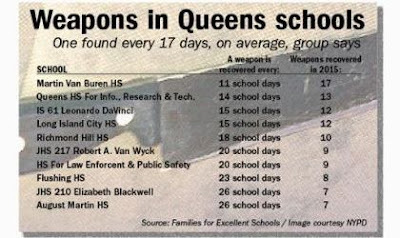 The Bloomberg schools were not exempt from the list as the second highest weapon possession was Far Rockaway Campus Queens High School for Information, Research, and Technology (QIRT) with a weapon recovered every 14 days. What's more concerning is that some of the middle schools were found to be on the top ten list with the worst being IS 61, the Leonardo DaVinci school in Jamaica at number three with a weapon possession found every 15 days. Why did the report exclude charter schools? Well its probably because the rise in weapon possession and drugs would be greater for the charter schools according to Councilman Danny Dromm (D-Jackson Heights), chairman of the Council’s Education Committee, as for the Families for Excellent Schools, he blasted the report for putting out negative reports about public schools, but failing to show an increase in violence at charter schools. “They’ve had a much bigger increase,” Dromm said in a Tuesday interview. While the exclusion of the charter schools from the report is politically motivated, the data presented for the Queens public schools is very disturbing and the weapon issue shows how potentially dangerous some school are and the blame lies squarely on the De Blasio Administrations lax student discipline policy. The Story On Why The Unity Caucus Is The Blame For The ATR Crisis. 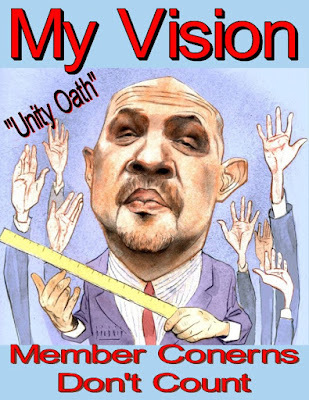 Let's get something straight, the ATR crisis that started a decade ago is the creation of the DOE but it would not have been possible without the approval of the Unity leadership running the UFT. This post will explain the story about how the ATR crisis evolved and how our disconnected union leadership was complicit in its creation. There were always ATRs as schools needed less teachers or downsized programs. However, by contract, these excessed teachers were given a list of vacancies in their District and could select the vacancy by seniority order. However, UFT President Randi Weingarten agreed to a "giveback-laden" contract in 2005 that eliminated the provision that allowed excess teachers to have first choice on any vacancy in their District. Instead, principals were now allowed to hire whom they pleased and many principals decided to hire newbie teachers rather than excessed teachers for their vacancies. The result was for the first time, there was a pool of excesses teachers. In 2005 Chancellor Joel Klein proposed an entirely different way to fund the schools that were being used by other Districts in the nation called "fair student funding" (fsf). However, unlike the other Districts that use the fsf for the average teacher salary District wide, the city version is based only on the school. The result is that schools are encouraged to hire the "cheapest and not the best teachers" for their students. When fsf was first proposed, the DOE was expecting the union to oppose it and had little chance to put the fsf in place but shockingly the union did not object and the result was an explosion of the ATR crises. Sometime after the 2006 school year the DOE decided that teachers who won their 3020-a termination case or took settlements lost their appointed position and were sent to the ATR pool. The union decided that this new DOE policy was not worthy of a PERB complaint despite many teachers who wanted their position back. In 2011 the union leadership in the form of Michael Mandel decided that rotating ATRs weekly was a great idea as it exposed ATRs to different principals and theoretically would result in "good fits" that would get them permanent positions. However, this was a "pipe dream" since fsf and the rise of the Leadership Academy Principal (20% of all principals) made hiring an ATR a difficult, if not impossible mission. The DOE has found the rotating ATRs a great benefit to their aim to demonize the ATR as it made ATRs "a stranger in a strange land" and encouraged the feeling of being unwanted and maybe get some of them to resign or retire in frustration. In 2012 a pilot project in Brooklyn was expanded citywide the next school year to have ATRs be observed by field supervisors in classes that the ATR had no knowledge of and must prepare a lesson that had rigor, differentiation, and was inclusive, an impossible task. Despite hundreds of complaints the union supported the DOE and refused to help the ATRs. The result is that the first "U" rated ATRs are now in their 3020-a termination hearings based on field supervisor "flyby" observations. The 2014 contract made ATRs second class citizens as they were forced to go to mandatory interviews and could be terminated if they didn't show up to two of these interviews. Moreover, only ATRs are now subject to a one day 3020-a hearing due to the ill-defined "unprofessional conduct". Finally., if an ATR missis two consecutive days of a new assignment without "just cause" they are considered to have voluntarily resigned. In 2015 the ATRs lead by the opposition caucuses, asked for an ATR Chapter. However, the union leadership opposed it and even fought it at PERB, falsely claiming that ATRs were temporary when some veteran teachers have been ATRs for a decade.There's nothing temporary to those ATRs. In September of 2015 the union's lawyer, Adam Ross, signed off on a letter that allows the field supervisors to recommend 3020-a termination charges to Superintendents that now will give more weight to supervisor observations in which to terminate ATRs. The book on ATRs has not been finished but unless the "Unity caucus" is defeated and removed from power, its very obvious that the final chapters will not have a happy ending for the ATRs. This post is about two issues that have come up in the the last week. First, about the union's attempt to put "lipstick on the pig". Attempting to show that forcing ATRs to take provisional positions outside their district was a good thing. The second, the leadership's attempt to ram "junk science" down the throats of their members. 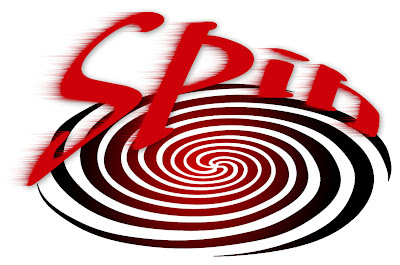 Let's look at the two issues that our union leadership is spinning to their members. The wider exposure has helped ATRs get jobs and out of the ATR pool. Amy's statement on its face is probably true but ignores the real issue. The placements are provisional and not permanent. Almost all of these provisional appointees will find themselves back into the ATR pool at the end of the school year. Moreover, most of the ATRs do not want to leave their district since the provisional assignments are in more challenging districts and in schools of deep poverty with low academic achievement and high teacher turnover. Finally, many of the ATRs live and taught in their district and are now being forced to travel a hour or more to another district with a different culture, "a stranger in a strange land". Yet, our disconnected union leadership didn't bother to discuss the issue with the affected members. While I have the up most respect for Amy Arundell, who has helped many of the members throughout the years, the latest being a fellow blogger from the Bronx, her response to Norm Scott is just the typical union spin when the truth is that most ATRs would not take a provisional position outside their district and results in few, if any, veteran ATRs (10 years or more) obtaining a permanent position. Instead it adds to the hardship to the life of most ATRs. To read more about the ATR's lack of mutual acceptance, see my post Here. In the last DA the union leadership reiterated their support of using student test scores in teacher evaluations, (see the Ice blog) claiming the only alternative was 100% Principal observations. While I understand that there are too many principals (especially those from the infamous Leadership Academy) who do not like to collaborate with their teaching staff and giving them all the power to evaluate teachers is a problem, the use of "junk science", which will be 50% of a teacher's grade is just as wrong, if not more so. Under the old "S" and "U" system at least, the Principal would have to prove to the 3020-a independent arbitrator that the teacher was incompetent and few teachers were actually terminated since the "burden of proof" was on the DOE and it was extremely difficult to prove the incompetence. However, in the new "ineffective" system the "burden of proof" shifts to the teacher and unless they are part of the lucky 30%, they are as good as terminated. The union spin is that there were only 700 double "ineffectives", compared to 2,000 consecutive "U" ratings. However, how many of the 2,000 "U" rated teachers were actually terminated? I bet it was less that the 700 "ineffectives" who where and will be terminated is almost a surety. 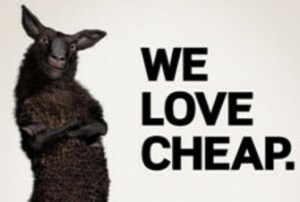 Don't believe the union spin, its all about what's best for them and not what's best for their members. Governor Cuomo Wants To Screw State Employees Once Again. As we come to the end of the 2011-16 contract that royally screwed State workers, our Governor has once again decided to balance his budget on the backs of his State workers. First, he has decided not to include any meaningful raises, without givebacks, for the next contract despite the State doing well financially. However, what's worse is what the Governor's budget do to State retirees who retire after October 1, 2016. Freeze reimbursement for the Medicare Part B premium at $105 per month and not the recently increased $122 monthly that Medicare Part B now costs. New State retirees would be responsible for the difference. Reduce payments for retirees with less than 30 years of service. At present the State pays 100% of all health coverage for pay grades 9 or lower and between 84% to 88% for pay grades 10 and higher for single workers and 69% to 73% for families. The Governor wants to reduce the entire workforce by the amount of years they worked under 30. The minimum vested employee (10 years) being 50% for individuals and 35% for families. Interestingly, the Governor would eliminate the prescription drug coverage fee for high income State retires making over $85,000 for single and $170,000 for families. I wonder if this is a favor to his people who work under him and make in excess of $100,000? The Governor's Office contends the proposed cuts are fair and aligns with other pension systems. In other news there is a rumor floating around that the State will offer an early retirement incentive. However, according to Assemblyman Peter Abatte who is the go to politician on employee issues, there is no such bill and it was originally proposed three years ago and is not part of the Assembly's budget proposal this year. Moreover, for one to pass, it would need both the Governor's and the State Senate's approval and that's not likely. I Support The "Opt Out" Movement And So Does The New Regents Chancellor. I have been a firm supporter of the "opt out" movement that was in response to the State's misguided Common Core based "high stakes tests" that forced teachers to forego real education to concentrate on months of test preparation. The backlash was swift as 20% of the State's students refused to take the Common Core based "high stakes" tests, with Long Island seeing a 50% "opt out" rate last year. This year, the State made some cosmetic changes such as eliminating the time limit, having fewer questions, and provide more materials for the tests. Moreover, the State, under pressure, will not tie-in the test results to teacher evaluations (4 year moratorium). However, this still means that teachers are doing months of test preparation for Common Core based tests that 70% of the students will not achieve proficiency in. Furthermore, it will take six days to complete the tests and that takes away from time for real learning. Finally, most students from 3-8 grades detest these tests and suffer from fear and loathing as they become stressed out in taking these difficult tests. Is that what we want for our children? Earlier this month, Chancellor Carmen Farina claimed that any teacher who supported the "opt out" movement and told their students of their opinion were "unprofessional". In other words, the Chancellor is imposing her own personal opinion to the classroom teacher. Well considering how disappointing the Chancellor has been in eliminating the Bloomberg education system that has resulted in changing the deck chairs on the Titanic, her opinion is worthless. Maybe the Chancellor should start improving the New York City schools by terminating the 300 Bloomberg holdovers she retained at the DOE and remove the 400 Principals she claimed should not be running their schools. Chancellor Farina needs to "clean house" and show that she's an effective manager before teachers will take what she says seriously. Now the "opt out" movement received a big jump start as the new Regents Chancellor, Betty Rosa, has told the New York Times that if she had a child in the 3-8 grade cohort, she would "opt out" her child until the State changed the tests and the procedures associated with them. Now that Ms. Rosa is in charge, let's see how the Common Core based "high stakes" tests and the teacher evaluation tie-in actually changes. Maybe there's some hope down the road. Over the years education reform organizations, commonly known as ed deformers have minimized the role poverty plays in student academic achievement and blame the problem on "ineffective teachers". Now an article by Bill Hammond has shown that poverty is the major factor in low performing schools in New York State. 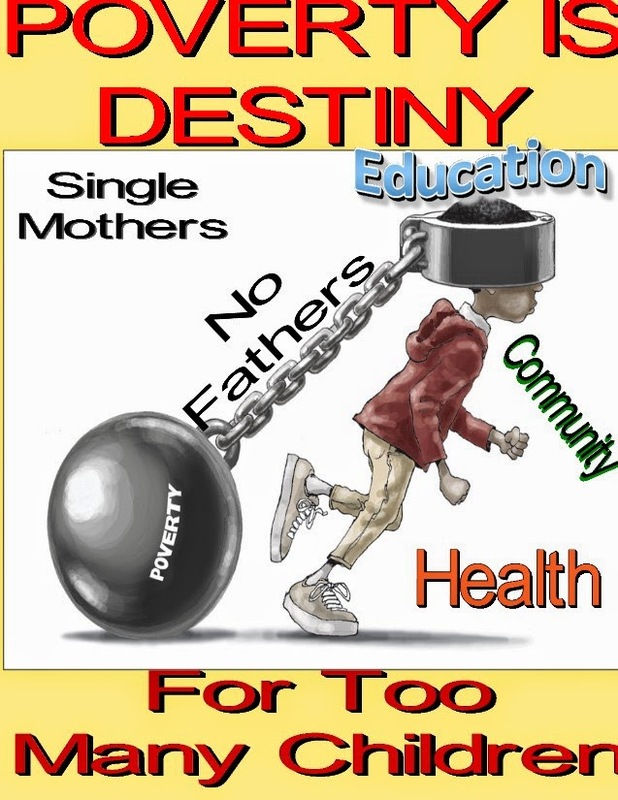 While some studies have previously shown a correlation between single mothers in poverty and poor student academic achievement, there were no studies that connected the 178 "failing schools", oops struggling schools in New York State with poverty However a new report has found just such a connection, a"lock step" correlation between the concentration of deep poverty in all the schools and their academic shortcomings. In fact, the report showed that for every 10% increase in students in poverty, the academic test scores in English and Math dropped 6.3 points Since all the 178 "struggling schools" have high concentrations of low income students, the results were proof that poverty greatly affects student academic achievement. The report prepared by John Bacheller found that the 178 "struggling schools" had an average proficiency rate of 6%, compared to 30% for the entire State in English and Math. The report also points out that poverty made up 79% of the test results while the rest were associated with schools, including teacher quality, budgets, resources, class size, and administration accounted for the remaining 21% of a student's test results. 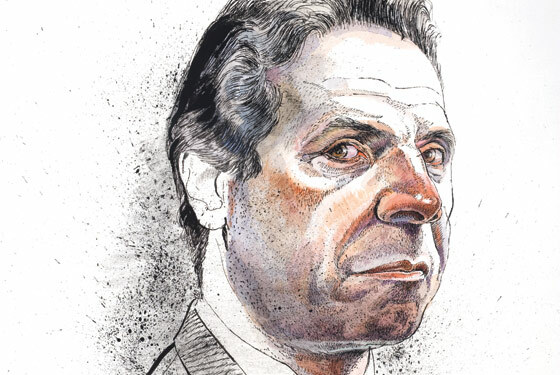 This is in line with other studies and the American Statistical Association that found that any one teacher contributed between 1% and 14% of a child's academic achievement not the 50% that Governor Cuomo and his ed deformer allies pushed through. The ed deformers can complain all they want and blame it on "ineffective teachers" but this study shows the "lock step" correlation between "failing schools" and high concentrations of low income students as the primary reason for poor student academic achievement. Termination Pay Or Terminal Leave? - What You Should Know. One of the options at retirement that teachers have is to "cash in" their available sick days by either applying for termination pay or terminal leave. In both cases for every 2 sick days, 1 day is credited. This is commonly known as "2 for 1". For example if the teacher has 100 sick days in their Cumulative Absence Reserve (CAR), they are credited with 50 days of pay if taken as termination pay or 50 days of service for terminal leave. Here are some of the things you need to know before you make that decision. 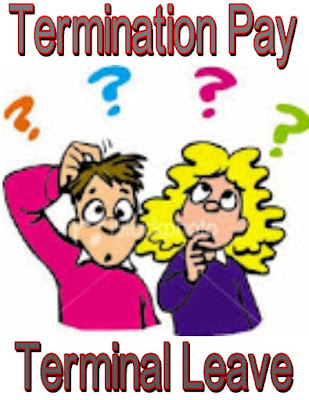 If you decide to take termination pay, you will receive three lump sum payments annually for a total of one half the days you had in your CAR at the time of retirement or resignation/termination. To apply for termination pay you need to download the form from the DOE website or ask your payroll secretary for form OP44, if you are a rotating ATR or were terminated and the school is uncooperative, then please call Amy Arundell at UFT headquarters and she will assist you in obtaining and completing the form. You must submit the QP44 form at least one month (30 calendar days) before asking for termination pay. The OP44 form is essential since the DOE will not automatically pay you for your available CAR days without a completed form and you don't want the DOE to keep your money. Finally, you will need to pay income and Social Security taxes on the year that you receive the lump sum payment. However, the payments will not affect the earnings limitations on either NYS public employment or Social Security. You are allowed to go on leave before officially retiring and use up half of the days in your CAR. If you decide retiring is not for you, then, as long as you still have days remaining in your CAR, you can get your position back with the remaining CAR as the starting point. However, there are some limitations that one needs to know before choosing the terminal leave option. Terminal leave cannot extend beyond one semester. Any remaining CAR will automatically be converted to termination pay. Moreover, You must decide by May 31st if you take terminal leave in the second semester (February) to rejoin the workforce, otherwise, your decision is irrevocable and you will be considered retired. The same goes for the first semester (September), if you do not return to service by December 31st, you are considered to have retired. You cannot apply to be reinstated in either January or June. To return to service you must contact the DOE and UFT since an application must be filled out before you can begin working again. Once your CAR is exhausted, your terminal leave is over and you will have officially retired. Remember, you must submit your QP40 form at least one month (30 calendar days) before you apply for terminal leave. If you become ill during your terminal leave period, contact the DOE and UFT and apply to have your terminal leave converted to sick leave, subject to the approval of the medical bureau. Finally, there is no limitation to how many times you can take terminal leave, providing you have the available CAR days in your bank. During the time you are on terminal leave you will be considered an active member with full pay and benefits as well as accumulating CAR days, pension credits, and still contribute to the TDA. If you decide to take terminal leave during the second semester and intend to retire, you can send a check to the Teacher's Retirement System to fully fund your TDA for the rest of the year. For example if you are allowed to contribute $24,000 to the TDA but only will contribute $18,000, then before June 26th send a check for $6,000 to TRS to fully fund your annual TDA contribution. The one limitation is that you must have made at least $24,000 to take advantage of this. Otherwise, you are limited to the earned income made before you take terminal leave. Finally, once you retire there are no TDA contributions allowed. Form QP40 is available online from the DOE website or the payroll secretary. For rotating ATRs who are unable to obtain the form, contact Amy Arundell at UFT headquarters and she will assist you in applying for terminal leave. Whether you choose termination pay or terminal leave, remember the DOE can and does reject applications for either if you don't complete the QP44 or the QP40 forms at least one month before you retire. Note: If you decide to come back under terminal leave, you will be placed in the ATR pool, unless your Principal requests you back and excesses another, less senior, teacher. Ex Chancellor Joel Klein Changes His Tune About Poverty & Education. Back in the heyday of the Bloomberg administration, Chancellor Joel Klein bragged how New York City was closing the racial achievement gap. 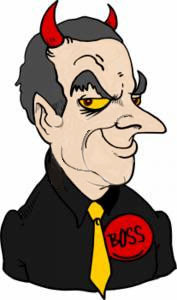 All his controversial policies that included closing schools, reducing the power of Superintendents, the fair student funding formula that resulted in the ATR pool of highly experienced teachers , and the newly empowered principals who hired "newbies" to stretch their reduced budgets, at the expense of their students education. Of course, the narrowing of the racial achievement gap was a fiction and when the State revised the cut scores in 2010 to their appropriate value, the racial achievement gap actually widened! The embarrassed Mayor asked for the Chancellor's resignation and Joel Klein was gone by the end of the year. Before the illusion of the narrowing of the racial achievement gap was exposed nationally, Chancellor Joel Klein stated the following: "That poverty is not destiny" in a 2011 Teach for America conference . This statement became the rallying cry of the education reform movement who instead blamed ineffective teachers for the poor educational results in high poverty schools. Now, it seems the ex Chancellor is whistling a different tone. In a speech at the 25th anniversary of Teach For America, he said the following: " how complicated education reform is and how poverty is definitely a complicating factor". His entire speech can be found in the Gary Rubinstein blog. Interestingly, in an exit interview Joel Klein gave the New York Times he claimed his biggest failure was that he was unable to terminate the ATRs that were costing over $100 million dollars annually. Its good to know that since his departure, Joel Klein has cost the DOE almost $1 billion dollars, just in salary alone, not including other benefits and maybe the De Blasio administration will realize how wasteful the policies of Joel Klein is costing the City money and experience as schools struggle to improve. 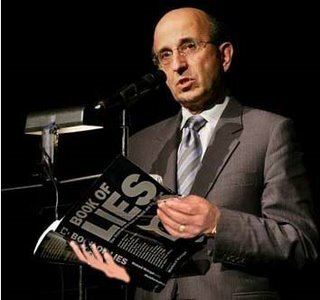 To understand my expose of Joel Klein's legacy of lies and failures read this! When Will Chancellor Carmen Farina Say Enough And Remove These Devil Principals? Once again the Principal of John Bowne High School, Howard Kwait, finds himself on the wrong side of an investigation, according to the New York Post. This time its for grade changing and the Office of Special Investigations (OSI) is currently interviewing school staff to determine how widespread and blatant the grade changing is. Like I said, Principal Howard Kwait has had some serious problems before such as harassing female Assistant Principals, wrongly had a female student arrested, and had an affair with a female subordinate who paid for his vacation with her that landed him in hot water with the City's Conflict of Interest Board and cost him a $4,500 fine Finally, the Special Commissioner of Investigations (SCI) found that there were allegations by female employees of his sexually charged vulgar behavior toward them but the DOE, despite their professed zero tolerance policy for sexual misconduct, chose not to pursue the complaints. You can find all the sordid details Here, Here, Here and Here. Obviously, Principal Howard Kwait is not only an embarrassment to the DOE but has cost the City more than $500,000 in settlements and yet Chancellor Carmen Farina has done nothing about it. Moreover, when the grade changing issue first came up, a couple of years ago, the DOE ignored it. Now the New York Post reports that the DOE has finally decided to look into the grade changing allegations and still Howard Kwait is Principal of John Browne High School, go figure. Whether it was the Bloomberg or De Blasio administration it matters little as the DOE "double standard" continues with principals allowed to retain their position short of murder while school staff are removed from the school and subject to termination charges for minor or even imaginary offenses. How are our schools going to improve with principals like Howard Kwait still in charge? 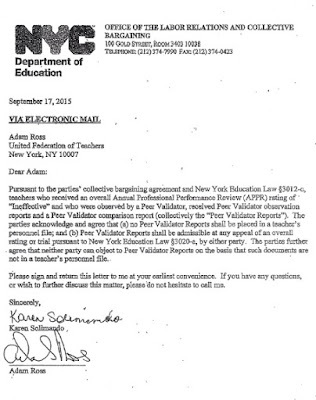 The DOE And UFT Have Made It Easier To Termminate Teachers. Back in 2007 the UFT and DOE agreed to a voluntary program called "Peer Intervention Program Plus" or commonly known as PIP+. The theory behind the PIP+ program was to have an independent evaluator observe the teacher accused of incompetence and recommend possible improvements. However, the PIP+ evaluator was neither independent or fair and over 90% of the teachers who took the PIP+ program were found to be incompetent and forced to resign. retire, or be terminated in a 3020-a hearing where the Arbitrator almost always found the PIP+ evaluator to be an expert witness. Interestingly, the union leadership told the Chapter Leaders to encourage these unfortunate teachers to take the PIP+ program without bothering to tell them that the PIP+ program was voluntary and that over 90% of the teachers lost their jobs. Instead, they told the Chapter Leaders that the PIP+ program would allow the teacher another six months without the school administration observing them and have an independent peer evaluate them. 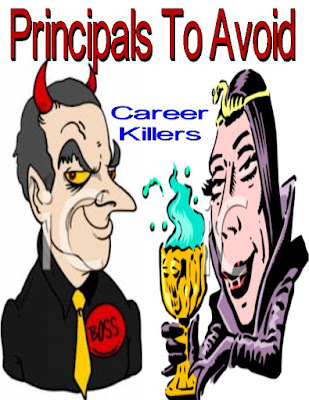 Unfortunately, the independent evaluator almost always sided with the Principal as they worked for a company that depended on DOE contracts and didn't want "to bite the hand that feeds it" by going against the Principal and finding the teacher competent. Hence the over 90% incompetence rate. Now, with the new teacher evaluation program there is no need for the PIP+ program. Instead. after a teacher is found to be incompetent the first year he or she gets a peer validator and the first year of the peer validator program, over 70% of the teachers were found to be incompetent by the peer validators and I suspect the percentages will approach the old PIP+ number. Why do I say that? Well just read Betsy Combier's blog who published a letter from UFT lawyer Adam Ross that makes it virtually impossible to challenge a peer validator's decision Despite the UFT/DOE contract that claims that their main goal is to improve one's pedagogy. In fact, the Ross letter makes it clear that there is no teacher remediation but termination is the sole goal of the program. 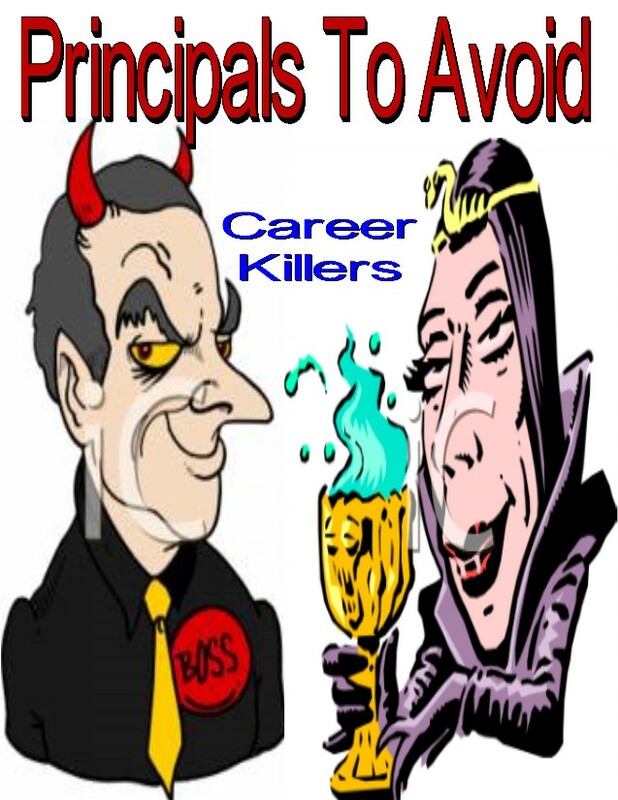 Moreover, once a peer validator finds the teacher incompetent its virtually impossible for the teacher to avoid termination in the 3020-a process. Who's side is our union leadership on? Certainly not the teachers side.' The letter is below. A Letter To A Field Supervisor From A Disrespected ATR. I was fortunate enough to have received in my email a letter that an ATR wrote to his field supervisor and I decided to publish it, with some editing for content, for all educators to see and what ATRs in rotation goes through on a daily basis. More importantly, this letter should put to rest that an ATRs job does not have the same stress as regularly appointed teachers. Several days ago in one of the schools I was assigned to, these events occurred inside and outside the classroom I was covering. Loud noise and screaming everywhere in the hallway, outside my classroom, for ten minutes into the period. Nobody seemed to care. Many of the students in the class ignore my instruction and refuse to do the assignment. Several students, joke, laugh, play cards, and scream at each other and ignore my commands to behave and do the assigned work. Some students don't even bother to sit down but walk around the room making a commotion. One student screams "F--k you" to another who curses back. A bunch (5-6) of unknown students suddenly enter the room and since they didn't bother to tell me who they were, I quickly realize they were not part of the class. I ask the group to leave but was met with indifference, I called the Dean for intervention. Almost a dozen students took out their cellphones, put on their headphones, and hoodies and ignored my commands to follow the school rules. Two female students show up twenty minutes late without a late pass and when asked why they were late, they exhibited a nasty response to my question. Two other students leave the room without permission, I called the Dean. Several students engaged in a group project by drawing the middle finger with blood at the tip, on a poster and glued it on the back locker in the room. I asked them not to do that but was ignored. Please advise me how would you feel and act if you are a teacher and being observed in such circumstances? How would I use the Danielson rubric as a tool for good teaching? I can only say to teachers, administrators, our disconnected union leadership, and the DOE, this is an almost daily occurrence by ATRs in many of the low performing and undisciplined schools that ATRs are subject to and yet far too many of you close your collective eyes to this terrible situation. Without giving ATRs real support and demanding consequences for the student's bad behavior, the above situation written to the field supervisor is the rule and not the exception for many ATRs in rotation. Fair Student Funding Hurts High Poverty Schools And Forces Their Principals To Hire "Newbies" To Stretch Their Budget. Back in 2007 Chancellor Joel Klein, with the enthusiastic support of Deputy Chancellor Eric Nadelstern and his education deformer friends proposed an entirely new way to fund schools. It was determined upon a weighted average, based upon student needs that has been used in many different parts of the country. However, the New York City version was so very different, instead of being used citywide or District wide, as was employed elsewhere, the DOE's "Fair Student Funding" (fsf) was school based. The result was that it forced principals to hire the "cheapest and not the best teachers for their school" If New York City had used the fsf like the rest of the country, there would be no financial incentive for principals to hire the "cheapest" teachers since the fsf is based upon the District or Citywide.average salary. and most principals want experienced teachers. To make matters worse, 94% of all city public schools are underfunded, based upon the fsf, with the average school getting only 86% of their allocated fsf as found by the Independent Budget Office. Because of the "hold harmless" provision, it turns out that most of the schools that are in the higher income areas have the most experienced teachers and are more likely to get their full fsf, while high poverty schools, with high teacher turnover, are getting shortchanged by as much as 18% of what they should be allocated for under the fsf. More interestingly, has been our union's muted response to the DOE's unfair fsf allocations and in particular their acceptance of the school based fsf in the first place that created the ATR fiasco, with 2,197 educators without a permanent position. While both Randi Wiengarten and Michael Mulgrew has occasionally complained about the fsf, most knowledgeable education observers strongly suspect that our union leadership was complicit in allowing the DOE to impose the destructive school based fsf. Obviously, the proper thing to do is make the fsf citywide rather than school based and eliminate the financial incentive of hiring the cheapest teachers. Better yet, eliminate the fsf altogether and maybe, just maybe, high poverty schools will obtain and more importantly, retain experienced teachers for their schools. 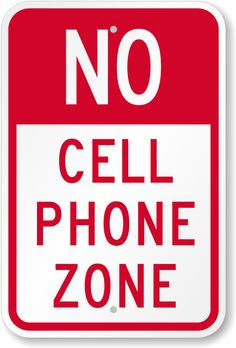 One of the worst decision that the DeBlasio Administration made was rescinding the cellphone ban and allowing students to carry their cellphones into school. The result of this ill-advised decision was an increase in school thefts, fights, and outright violence. At the Lehman campus in the Bronx it got so bad that the six schools at the school require all their students to give up their cellphones before going to class. This policy reversed the DeBlasio cellphone policy after the students at the Lehman campus were using their cellphones to coordinate gang fights outside the school. You can read about it Here. More importantly, many teachers throughout the City are finding that their students refuse to put their cellphones away in the classroom and in far too many cases it has led to confrontations between the teacher and the disobedient student with bad results. Worse, the cellphone usage is a distraction to good teaching and learning as the student is more interested in his or her cellphone then absorb the lesson and the teacher must frequently interrupt the lesson to ask the student to put away the cellphone, making the instruction less effective to the entire class. How can a teacher be effective if the school administration fails to take the cellphone issue seriously and calling parents is not the solution since they usually support their children having a cellphone and suffer no consequence when informed that their child was using the cellphone in class? The only real solution is to do what the Lehman Campus is doing, making the students check their cellphones at the school door or revert back to the cellphone ban that will allow for less classroom distractions and a more peaceful classroom, the main ingredients for successful teaching and learning. The Real Problem In Schools Is The Poor Leadership Exibited By Principals. If you read the newspaper editorials or the education reformer organizations, the key to successful student achievement is a quality teacher. All other factors are ignored being social-economic conditions, family dysfunction, or peer pressure. Additionally, except for Susan Edelman of the New York Post, the news media focuses on the teachers and nobody else. Yet, the school tone and success is lead by one person and one person only, the Principal. Even our disappointing Chancellor, Carmen Farina, stated that 400 principals should not be running their schools, yet few of these 400 principals have been removed and the few that have been removed happened only after intense media pressure. The majority of these 400 principals who have no business running their schools are easy to identify. They have the lowest trust rating from their staff, have a majority of untenured teachers due to high teacher turnover, and have poor student graduation to college ready ratios meaning that their students graduate unprepared for the adult world of college and business. Who are these unqualified principals? Most of them are Leadership Academy principals who have no tenure and can easily be removed by the Chancellor. However, since Carmen Farina took over as Chancellor she has been very reluctant to remove principals. Here is a list of ones she could have removed but didn't until intense media pressure forced her hand. First, there was Principal Marcella Sills of PS 106 who was allowed to continue as Principal until the media onslaught put an end to her regime. Then there was Principal Linda Hill who was found guilty of "double dipping" and was allowed to stay in her post until the end of the school year and it was reveled that her OSI report was completed almost two years previously and was not released by the Chancellor. Who can forget the Chancellor defending Principal Kathleen Elvin of Dewey High School by falsely claiming her graduation scheme was unsubstantiated only to reverse course as the media presented the facts. Finally, the Chancellor intially failed to remove Annie Schmutz Selfullah after reports of her sexual misconduct at the school surfaced. When the Chancellor finally took action to stop the media circus and removed the Principal, the DOE tried to quietly slip her back in as a teacher at a renewal school. How about other Principals that have retained their position under Chancellor Carmen Farina despite media attention. Let's look as some of them. Eujin Jaela Kim of PS 169 in Brooklyn. Santiago Traveras of DeWitt Clinton HS. Namita Dwarka of William Cullen Bryant HS. Howard Kwait of John Bowne HS. Obviously, there are many more Principals that need to be removed but a good start in cleaning house would be the ones I identified above and my list of Queens high school principals that had the lowest staff trust ratings should have been history if you ask me. Poverty Is The Reason We Can't Narrow The Academic Achievement Gap. 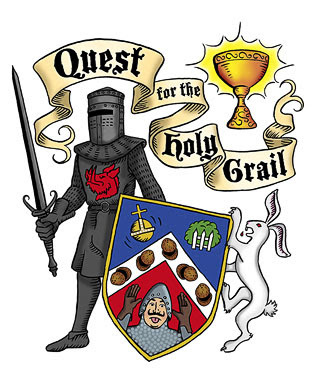 The education reformer holy grail is to reduce the income/racial academic achievement gap and to attempt to achieve this goal they have tried different strategies to try to make it happen with little success. Bill Gates is the poster child of the education reformer organizations and he has tried various strategies, none of them have worked. 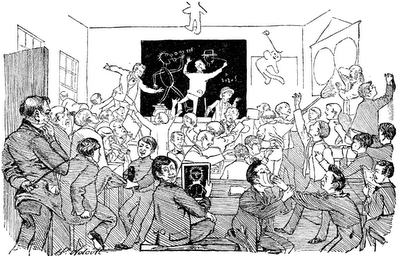 First, it was the small school movement which he admitted failure. Then it was cameras in the classroom that was to be used to identify good teaching that was shot down like a lead balloon. Next, was advocating charter schools and blended learning which has been a disaster where it has been tried, including New York City. Finally, his new emphasis is on "teacher quality" which is a major part of the program of high-stakes testing to evaluate teachers. However, many states have retreated from using test scores to evaluate teachers (New York State) or are eliminating it all together like Seattle Washington. The primary reason that the education reformer organizations can't seem to significantly narrow the income/racial achievement gap is their failure to address the poverty issue. Nationwide 42% of children who live only with their mother are living in poverty and instead of trying to eliminate poverty by keeping families together, promote safer communities, and have financial and food security. Its easier to lay the blame on the lack of "quality teachers" for poor student academic achievement. Now we have a 10 year study done in San Diego California that tried mightily to narrow the income/racial achievement gap by hiring more teachers of color, increased teaching professional development, and better teacher certification practices. The blueprint can be found here. The result has been disappointing, the ten year study showed only marginal progress and in some cases no progress in narrowing the academic achievement gap. . The reason that none of these programs have worked is the failure to address the poverty issue and as long as the education reformer organizations ignore the 800 pound gorilla in the room and that is poverty, blaming teachers or the schools will not result in any significant improvements in narrowing the income/racial achievement gap. Every ATR that has been sent to my school this year have been over 50 years of age, have 15 or more years of experience, and came from a closing school. Many of these ATRs are excellent teachers but because of their age and salary, they can only obtain a temporary provisional assignment at best. This is a blatant case of discrimination and yet our union leadership has closed their collective eyes to this practice. If the union leadership actually cared about the ATRs they would demand from the DOE the right for ATRs to choose from the various vacancies in the district before principals are allowed to hire anybody else. To protect lower seniority teachers, the DOE can allow a school an extra teaching unit in that subject area for any ATR selected by the school. Instead our disconnected union leadership agreed with the DOE and made the ATR a second class citizen. I truly believe that the DOE is practicing age discrimination and the union leadership has silently allowed it to happen. Shame on both of them. I took down my previous post because the union had informed the Chapter Leaders of the problem. However, my Chapter Leader failed to inform me that the W2-C was simply a correction for suburban educators that the City incorrectly assigned to the City tax box in our W2 form. I am sorry for the misunderstanding on my part. However, the blame lies squarely with the Chapter Leaders who were informed by the union of the issue and have not informed their school staff of the change. I am sorry for the misunderstanding and the good news is that all the income was reported and for educators who have already filed their taxes, it should not make a difference except that you might have to include the corrected W2 form if asked.